This system is designed to use the power of the Awesome Oscillator by Bill William. 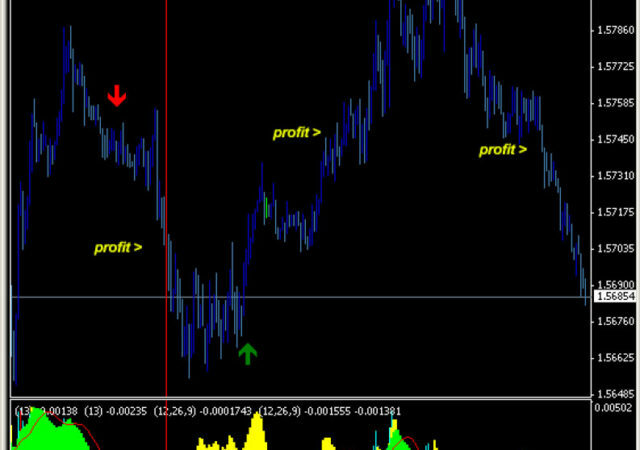 It combined with other two customized indicators and generated very high accuracy entry signal. It performed well on long timeframe such as 4H and daily. 1. 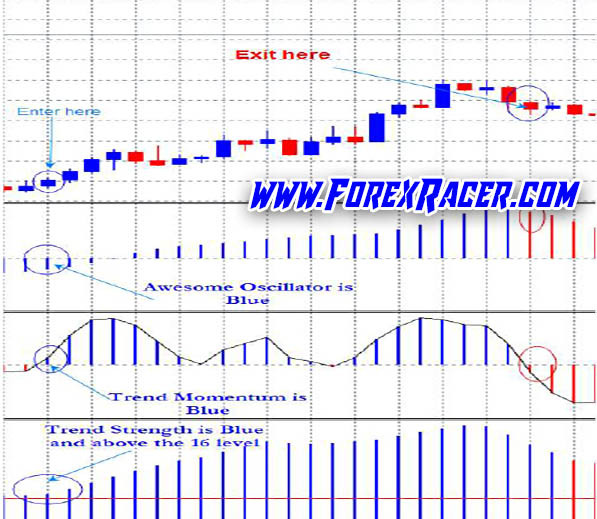 The Awesome Oscillator determines the general direction of a trending market with great accuracy. 2. Trend Strength determines the strength of the current trend, as well as a confirmation on direction. 3. Trend Momentum helps determine when a trend has truly changed directions. These 3 indicators working together provide a very reliable entry signal. 1. The Awesome Oscillator is Blue. 2. The Trend Momentum is Blue. 3. The Trend Strength is Blue and above the 16 level. 1. The Awesome Oscillator is Red. 2. The Trend Momentum is Red. 3. The Trend Strength is Red and above the 16 level. Allow the trade to run until 2 indicators are showing a reverse signal. 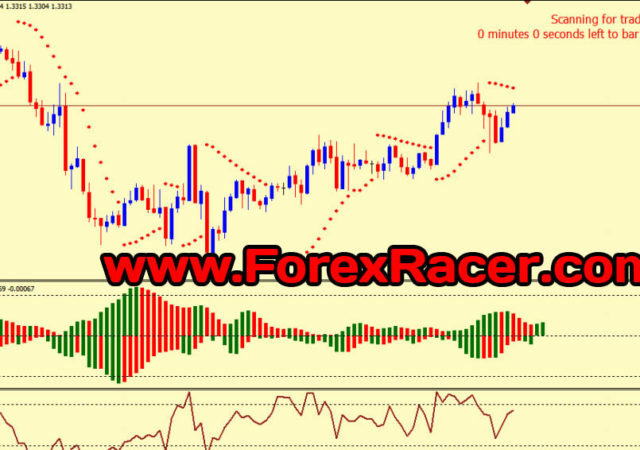 Use stop loss around 50-100 pips and do not risk more that 10% of your available balance.